Cannabidiol (CBD) is a therapeutic compound found in the cannabis sativa plant, the term for both marijuana and hemp under State statutes. It is non-psychoactive, non-toxic, and non-addictive. 2How do I use CBD OIL? Topically, you can apply CBD OIL directly to an area of need –Mm absorbs quickly into the skin! Orally, we recommend completely dissolving 0.5 ml under the tongue. Hold it there for 30 to 60 seconds. Enjoy the fast activation time –usually within 5 minutes! Start with 0.5 ml as a therapeutic dose taken 3 times a day. The graduated dropper makes for easy measuring. If the last dose is taken just before bedtime, many find a relaxed path to sleep. However, if used during the day Mm will not make you drowsy. Everyone metabolizes the CBD molecule differently. The time between doses can vary. Dosing is entirely controlled by how you are feeling at the moment. Our experience favors dosing more frequently, rather than taking larger amounts per dose. 3What is the correct dose for CBD OIL? Our recommended daily therapeutic dose is 0.5 ml (half a milliliter) 2-4 times daily. We encourage you to take Mm more frequently rather than in larger volumes, and then adjust your dose frequency and amount from there. Typically, 0.5ml taken 2 to 4 times a day, for up to a week, is a good place to start. After that, experiment with a dosing frequency that works best for you. Your routine might change from day to day. There is no threshold of harm. Take it when you feel you need it, in addition to your daily Mm routine. 4What if I'm new to CBD? 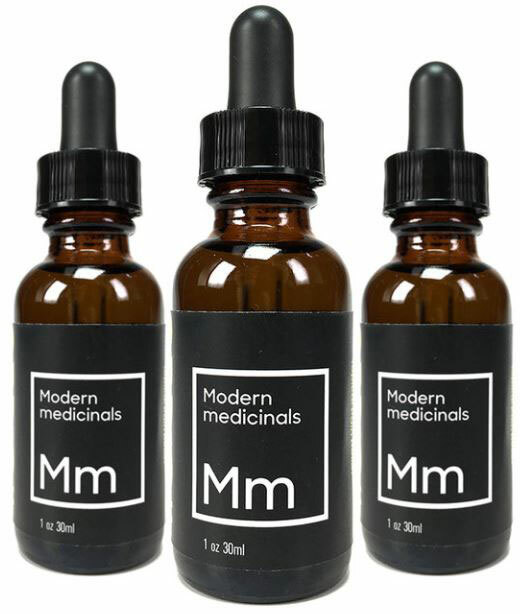 For those new to CBD, we have found a double dose the first time Mm is used helps wake up your ECS. It might take two or three doses for your ECS to respond. Don’t worry, it will. ECS stands for the Endocannabinoid Receptor System. Every vertebrate has one. This system is dedicated to two molecules only: delta-9-THC and CBD, the bioavailable forms of the raw cannabinoids THCA and CBDA, found in the plant prior to processing. There are two types of cannabinoid receptors found throughout the body, CB1 and CB2. In general, CB1 attracts delta 9-THC and CB2 attracts CBD. CB1 receptors are absent in the medulla oblongata, the part of the brain stem responsible for respiratory and cardiovascular functions. Thus, there is no risk of respiratory or cardiovascular failure that can be produced by some drugs, such as opioids. 6Should I use CBD with THC? We encourage the use of THC products, just not at the time of dosing with CBD. We become the myth buster for this topic. THC does not enhance the effects or results with bioavailable CBD. We recommend not using THC for 15 minutes before and after dosing, for full absorption of the bioavailable CBD by your ECS. 7Why is Mm made with fractionated coconut oil? Three parts of the raw coconut OIL are removed. The result is a liquid at room temperature that will not spoil, and the allergen is removed for those for those of you that have a sensitivity to tree nuts. 8What if I have food allergies? 9Will CBD OIL get me high? Nope - not unless you get high from feeling your best! Mm contains no THC. You'll be able to think clearly and move with control. It is physically impossible to get high from CBD alone. 10Can I give CBD OIL to my dog? Can I give CBD OIL to my cat? Absolutely! And just when you thought they couldn’t love you any more… Every vertebrate has an ECS. Modern Medicinals CBD Pets is a great choice for all of your furry friends! You will be able to observe your pet's demeanor and adjust the dosing and frequency accordingly. 11What is bioavailable CBD OIL? Bioavailability is the measure of a molecule’s ability to be absorbed into the bloodstream. The bioavailability of a substance, the greater the therapeutic dose your body can actually absorb; the less you’ll need to achieve the desired effects. With bioavailable molecules, the less you need. Bioavailability is what separates high-quality CBD products from all the rest (like the ones you find on Amazon.) Bioavailability is the true measure of product potency. Modern Medicinals CBD OIL is formulated to 100% bioavailability. Mm absorbs quickly and at a higher efficacy rate than other CBD products. Mm CBD OIL’s process converts the CBDA molecules, as found in the plant, to 100% bioavailable CBD in the bottle. 12Why is bioavailable CBD important? Bioavailable CBD can be immediately absorbed by your body. These molecules interact with your internal endocannabinoid system (ECS) to promote an overall state of homeostasis (well being and balance) which makes Modern Medicinals CBD OIL a great choice for a variety of well-known conditions. 13Is Mm a tincture or a topical? Do I need to vape it? Yes, yes, and no. Since we use organic fractionated coconut oil as the base, Mm is both a tincture and a topical. It can be applied directly to the body or absorbed directly into the bloodstream under the tongue. Please do not try to vape or smoke Modern Medicinals. Mm CBD OIL is ready to use right out of the bottle! 14How is Modern Medicinals tested? We voluntarily adhere to the highest standards for testing available. Every batch of Mm CBD OIL is ORELAP tested and has passed the Oregon Department of Agriculture (ODA) control study for consistency. In addition, Mm has never failed a test for microbes, pesticides, or pathogens. Modern Medicinals, LLC is an Oregon licensed, compliant food safety establishment. 15What if I don't live in Oregon? Can I buy CBD OIL online? We have CBD OIL for sale in our online store! You can also find Mm at these retail locations. 16Can I use CBD OIL in place of OTC medication or opioids? That's a great question and we definitely would love to answer that, but unfortunately, the existing regulatory bodies prohibit anyone from making these type of claims. However, there’s certainly a lot of information out there (**cough, cough** Google, **cough cough**). The answer can also be found in our many client testimonials, which remain unpublished due to FDA regulations. 17What is Oregon CBD Flower? Oregon CBD Flower is the same genetic plant you can find in a dispensary that's marketed as high CBD. If a plant contains less than 0.3% THC in the field test, it is eligible to be classified as an agricultural product. The products derived from it are no longer solely governed by marijuana laws, thereby making it legal to ship to almost every state. 18Does Modern Medicinals CBD OIL offer wholesale pricing? We are always interested in new retail partners. Please contact us here. 19Why should I put CBD OIL under my tongue? Sublingual administration of bioavailable CBD OIL has a high efficiency for absorption. We recommend two ways to access your endocannabinoid receptor system, completely dissolved under the tongue or applied to the skin topically. 20Can I put CBD it in my coffee or tea? Yes, but eating or drinking bioavailable CBD will lead to less efficient absorption. 21How does our process successfully achieve bioavailability? We invented an all-natural process that does not use alcohol, solvents, CO2, butane or any other chemicals. No chemicals need to be removed since none are introduced. Our process also converts the CBD molecule to its bioavailable form, which your body can use right away! 22What’s the difference between isolate and full spectrum CBD? Unlike isolates, Modern Medicinals CBD OIL contains additional beneficial cannabinoid compounds and Terpenes producing a limited entourage effect. This entourage effect will not be achieved using CBD isolates that are independent of the the cannabis plant’s other beneficial cannabinoids, whether derived from marijuana or hemp. While the full compliment of cannabinoids exists in the plant, many evaporate naturally at room temperature during processing. Never the less, the limited entourage effect found in Modern Medicinals CBD OIL provides more complete interactions than products using solvents to produce CBDA isolates. 23Is full spectrum CBD the same as bioavailable CBD? No. Products claiming to be Full Spectrum are not automatically bioavailable. 24Is Modern Medicinals CBD Oil right for me? The short answer is "yes". The long answer is "yesssssssss". 25Does CBD OIL have an expiration date? Modern Medicinals CBD OIL is made using organic fractionated coconut OIL. There is no expiration date! No need to refrigerate. We believe in the truth. Most CBD products out there are made from industrial hemp stalks or hempseed. One is a great source for fabric; the other is great for Omegas. Neither is a great source of CBDs. The only true source of CBD molecules is Oregon CBD Flower, which we source exclusively for our 100% bioavailable CBD Oil. Why do we keep saying bioavailable? Because bioavailable CBD is ready for your body to use right away. This leads to faster activation time. And it's the best way to ensure you are receiving the most efficient results from your CBD.